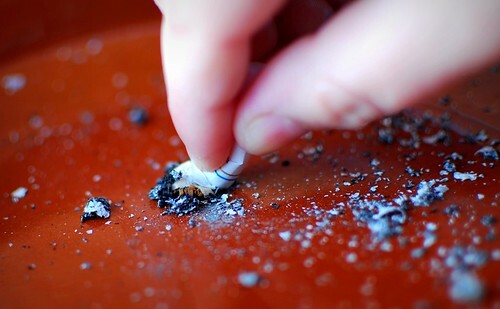 Are you still hesitating to quit smoking? A wise man once said “if you have a why, you will always find the How” , so went and did some research and found for you these 101 reasons to quit smoking Today! 56. It’s frustrating to know dependent! 70. The Social Security is contributing $50 / person to stop smoking, it would be a shame not to enjoy it! 87. Why continue to enrich Philip Morris? 88. In which countries cigarettes are they made by children? The air you inhale is composed mainly of oxygen and some other gases such as nitrogen and hydrogen, as well as dust particles and microbes of all kinds. The respiratory system lets in oxygen, while blocking and throwing dust and other waste out of the body. When you breathe in cigarette smoke, you are actually inhaling more than 4,000 chemicals. You can imagine the job of protecting and cleaning that your body is put up to, and this is not only for the respiratory system, but your whole body and that is for every time you smoke a cigarette! It is wrong to believe that it is less harmful to your health when you smoke 100% natural cigarettes, rather than the cigarette from tobacco companies which has undergone some chemical addition! maintain the freshness of tobacco for as long as possible. The first two points are crucial. Tobacco companies increased the capacity of the cigarette to make it more quickly addictive to those who smoke, this is why it is so difficult to quit smoking. And the tobacco as soon as it burns, produces thousands of chemicals such as tar, hydrogen cyanide, nicotine, cadmium, carbon monoxide, formaldehyde, , etc..
We may compare people who smoke to those inhaling the fumes emerging from an incense or hearth fires … the only difference is that they breathe-in this kind of smoke only occasionally. That is why their bodies seem to get rid of chemicals from the burning of these incense and wood. As for smokers, they regularly inhale a lot of smoke. It is the inhalation of tobacco smoke in large amounts and frequency that brings about harmful effects to the body such as Cancers, skin diseases,respiratory diseases, heart diseases, ….. So, even if you smoke tobacco or marijuana 100% natural, well, it does not change anything. The smoke from these products will always be harmful. You should understand that smoking without damage to your body is theoretically and practically impossible. You may argue that doctors prescribe marijuana or “pot” to patients. So, smoking can not be very harmful to health, you might say. The people who marijuana is prescribed to – and they are not many – are suffering with very severe disease. In these cases, the pot is used as a pain therapy as well as morphine. The marijuana is not used because it is good for health and it heals, but it allows some patients to cope better with their condition. Ultimately, why send tobacco smoke into your body? Why not try to develop the ability to cope and live the situations of life without the help of a small roll of paper filled with extracts from a plant?